I’ve written a bit about fear lately, and after posting the previous article on fear being a myth, I thought I’d share a bit more. It’s a peculiar thing. Fear is something almost every single person deals with, and yet most of the time we don’t recognize that it’s a choice. Fear is a choice we have ultimate control over, and one that could define a few different outcomes. Fear is a choice because it resides in our own minds. Which means that we hold the keys to unlocking the prison that fear places us in. In fact it’s not actually a prison at all, it’s freedom! But the first step of controlling this paralyzing fear, is to recognize that we hold those keys. What if no one likes what I create? What if I don’t like what we create? What if I loose all my money? My job? My reputation? The person who your art may make whole. The community who may experience transformation through your craftsmanship. The story that will be told when you step into transparency and authenticity. The relational impact that may result of your creativity. You get a choice. To choose the fear that will paralyze us? or step into the unknown of the potential impact you may provide someone else? It’s weird trying to recognize the fact that fear is a choice, because we don’t think we have control over it. But simply choosing to see the other side of fear, is exactly what allows us to not be owned by it’s position in our hearts and minds. Related Posts: Persevere. At all costs. Lets find that pure joy, and choose fear to be something we have control over. The more we recognize it’s a choice, the more we’ll be able to overcome it’s power on our creative process. And in the end, we’ll see our God-Given potential! P.s. This is a concept I write about in my latest book, Creative Potential. Click here to learn more about the book. 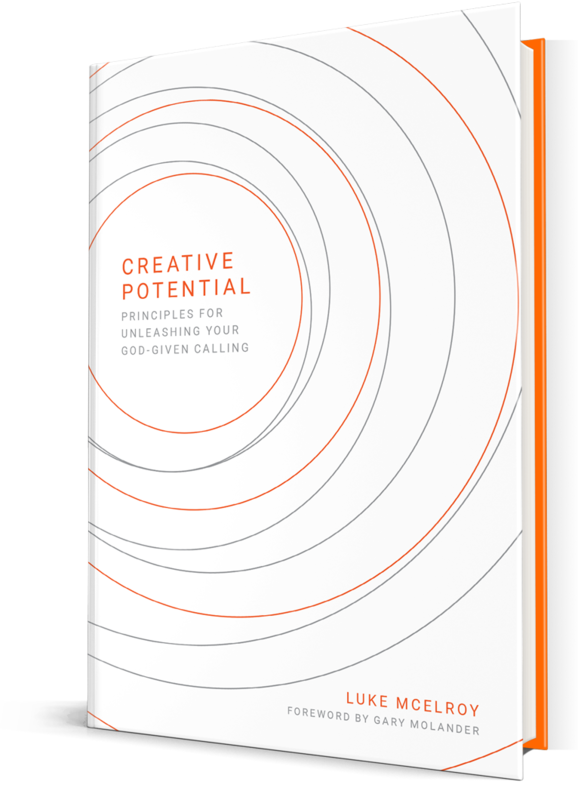 I just finished my most recent book, Creative Potential: Principles for Unleashing Your God-Given Calling. It’s without question my single favorite project I’ve ever worked on. I’d encourage you to check it out and see what other’s have to say about the book as you explore how to maximize your own creative potential.